Revision rhinoplasty is a procedure that aims to improve upon, correct or reverse changes made during a previous rhinoplasty. 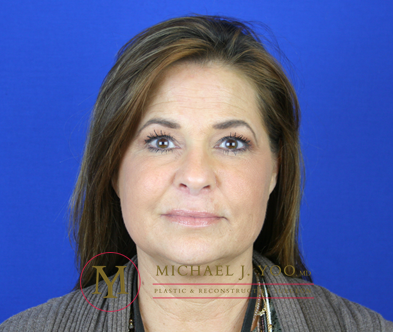 Most individuals seeking this procedure are dissatisfied with the aesthetic results of their prior procedure. 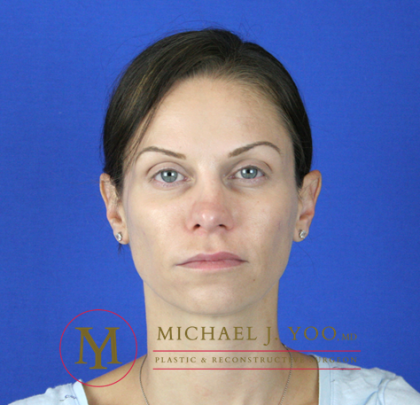 This dissatisfaction can vary from one specific part of the nose to the overall appearance. Previous rhinoplasty work may even constrict the air passageways, making it difficult for the patient to breathe through their nose. Unsatisfactory rhinoplasty results can leave patients feeling uncomfortable, both in their bodies and with their outwardly appearance. While revision rhinoplasty is a procedure that takes great skill to perform, it can make a major difference in patients’ quality of life once completed. Dr. Yoo has many years of experience helping Orange County patients correct their previous rhinoplasties. A rhinoplasty is an excellent way to achieve a more balanced, attractive appearance. While most patients who undergo rhinoplasty feel happy with their results, not every patient is pleased with the final outcome of their procedure. Whether because of doctor error, or complication from infection, some patients see changes in their nose they did not want: an area may be too thin, too thick, or the results may be uneven. The patient may be in discomfort because the work on their nose disrupted their septum, or left tissue blocking the nasal passage. 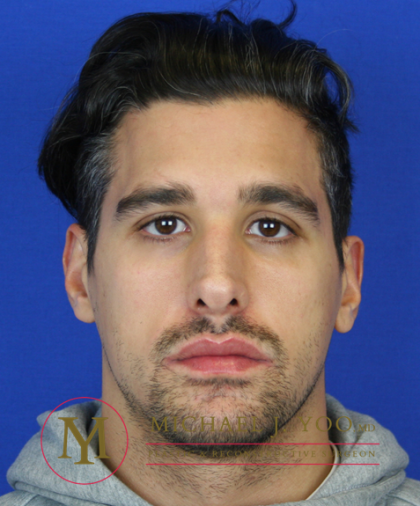 Revision rhinoplasty is capable of rebuilding patient’s noses and, in most cases, restoring comfortable breathing function to the nasal passages. 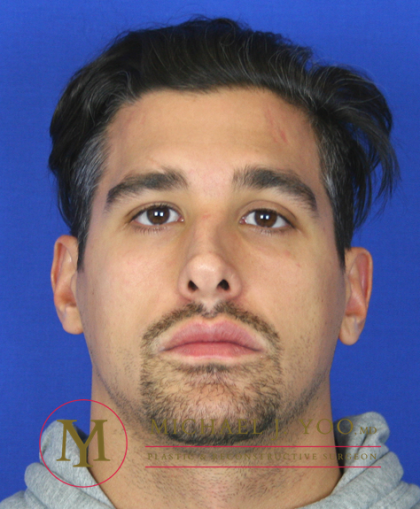 Poor rhinoplasty can make a patient’s nose look out-of-place on their face; this procedure is intended to make the nose look more harmonious with the patient’s appearance. Due to the fact that the original rhinoplasty work usually removes cartilage, and sometimes creates scar tissue, it is important to have this procedure performed by someone who is highly skilled in this form of surgery in order to see your best, most natural-looking results. Missing or lack of nasal cartilage necessary to reshape the nose or restore a functional airway. A revision rhinoplasty is, in fact, considered one of the most complicated plastic surgery procedures: in order to see your best results, it is best to receive your revision from a highly skilled surgeon like Dr. Yoo, who has had extensive training and experience in facial plastic surgery. Candidates for revision rhinoplasty should be generally healthy and be at least one year away from their initial rhinoplasty procedure. This allows sufficient time for healing to take place and swelling to subside, providing ideal conditions for accurate assessment and planning. 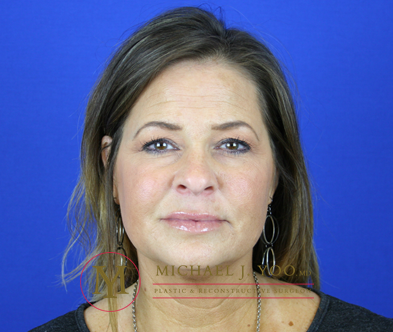 Unhappy with the appearance of their previous rhinoplasty results, or are having trouble breathing because of the way their rhinoplasty obscures the air passage through their nose. If you have had a prior rhinoplasty and are unhappy with its appearance or have difficulty breathing through your nose, please contact my Irvine office and schedule a consultation. Feel free to ask any questions you have. I’d love to answer them and determine if revision rhinoplasty is an option for you. 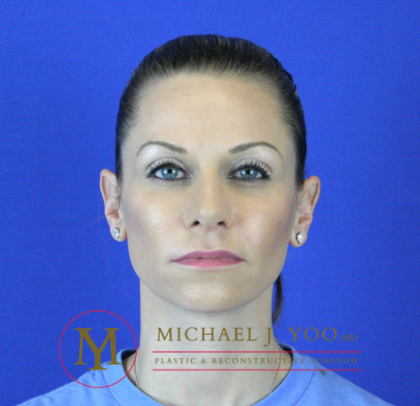 This procedure varies depending on the correction(s) sought and the results of the initial procedure. However, revision rhinoplasty often requires additional cartilage in order to reshape the nose and/or restore a functional airway. This essential ‘building material’ is often lacking or missing in a secondary rhinoplasty, as it is often used or removed during the first procedure. Depending where on the nose the cartilage is needed, additional cartilage may be obtained by using ear or rib cartilage. The tissue found deep in the hair bearing scalp of the temples is another useful grafting material to help camouflage or soften irregularities. Each patient’s nose and facial structure is unique. The focus of a revision rhinoplasty may need to be on the upper or middle third of a patient’s nose, or on the tip, bridge, or airways of the nose. Dr. Yoo will perform the procedure with either an open incision, which is made to the skin between the nostrils, or a closed incision, which is concealed within the nostrils. A closed incision is often best suited for small-scale changes; this type of incision may be ideal for some patients, but in general Dr. Yoo prefers an open suture. This location allows him the best access, heals well, and is not prone to scarring. A revision rhinoplasty generally takes longer to perform, and can be completed in between two to four hours. Patients will be put under general anesthesia to receive their procedure. Patients may need to undergo a revision rhinoplasty to correct an unsatisfying nasal appearance that results from poor surgical work, infection from a previous procedure, or physical injury. A revision rhinoplasty improves not only a patient’s attractive appearance, it also improves the patient’s ability to breathe. Difficulty breathing through one’s nose is another common complaint that revision rhinoplasty patients seek to address. This can be due to a number of factors, including loss of structural integrity from over-aggressive removal of nasal cartilage, or not recognizing and correcting a functional problem at the original procedure. It is recommended that you schedule a ride home with a friend or family member after your revision rhinoplasty, as you should not drive immediately following your surgery. You will be given thorough instructions regarding your recovery from your revision procedure well before you leave Dr. Yoo’s office. You will also receive instructions for how to care for your cartilage donor site, if cartilage grafting was a component of your surgery. Most patients experience what they describe as pressure, rather than pain, after their revision rhinoplasty. Dr. Yoo will discuss what medication options are available to you to relieve any discomfort you experience. It will be difficult to breathe through your nose for the first seven to ten days. Patients may want to focus on breathing through their mouths. Swelling and bruising will also likely occur. The bruising should subside within ten days. Any swelling will continue to improve for the thirty days following the procedure. Try to sleep with your head about your heart during this initial recovery period. Patients who received a surgery with an open incision may need to apply antibiotic ointment regularly for the first week of their recovery. Patients should avoid any activities for the first 48 hours of their recovery that could make their nose bleed, including blowing their nose or bending to lift heavy objects. Most patients take one week off work for their recovery, but those who received more extensive work may feel most comfortable taking two weeks off work. You will be able to return to most activities within two weeks, but should avoid strenuous exercise for the two to three weeks following your surgery. The majority of healing will be finished within three months. Patients who previously had rhinoplasty work that left their nose too thin, upturned, uneven, or unnatural-looking will see profound improvement in the appearance of their nose. The rhinoplasty revision will also reshape the tissue and septum cartilage as needed, in order to restore comfortable breathing function to the patient. As the swelling in their nose subsides, recipients of a revision rhinoplasty will be able to observe that their new nose is balanced, draws attention to their eyes, and has an improved flow of air. 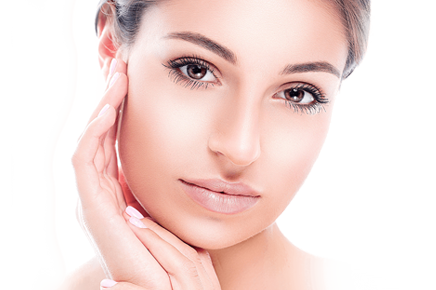 Due to the scarring and loss of tissue that can occur from rhinoplasty-gone-wrong, revision rhinoplasty is a complex procedure to perform. Dr. Yoo, thanks to his years of experience, is able to identify and deliver on the artful reconstructive needs of a wide variety of patient cases. With Dr. Yoo, you are in good hands. A consultation with Dr. Yoo is an opportunity to learn about your options with revision rhinoplasty and to have any questions that you may have answered. During your consultation, Dr. Yoo will discuss your medical history, medication use, and goals for your procedure with you. After examining your nose, he will disclose what he feels is your best course of reconstructive action, and walk you through a revision rhinoplasty plan. Photos may be taken of your nose, to help with preparation for your procedure. The cost of a patient’s revision rhinoplasty surgery will depend on their unique case. Dr. Yoo will determine the extent of work a patient will need to undergo to repair the outcomes of their previous rhinoplasty work during their private consultation. After a patient completes their consultation, Dr. Yoo’s helpful staff will provide give them a breakdown of the anticipated cost of their procedure. If you are unhappy with the appearance of past rhinoplasty results, you don’t have to suffer without hope: call Dr. Yoo’s office today, to schedule a private consultation and learn what your nose, and you, can look like at their best.